174 pages | 2 B/W Illus. Today, almost a generation has passed since the Iran–Iraq war and the memory of it is set to diminish with each passing generation. The following questions emerge. Can we say that the gradual disappearance of war’s memory means that, increasingly, Iranians will see the Iran–Iraq war solely as an historical event? How can we defend or reject this idea? Today, with which elements and values should we look at the Iran–Iraq war memorials and ceremonies? To what extent will war museums and materials culture be influenced by these new values? 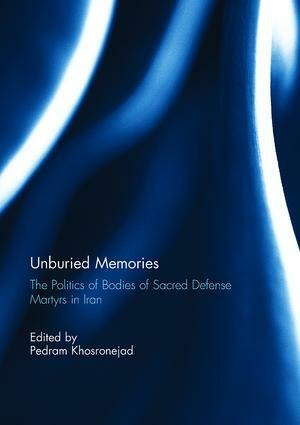 In the period during and immediately after the Iran–Iraq war (1980-88), national bereavement and commemoration of martyrs was neither apparent in common state policy nor a social need. Even at the turn of the 21st century, anyone walking through Iranian cities, many of which had been the main scene of the bloody massacre and direct targets of the Iraqi Republican Guard, will have found traces of the terrible, almost unimaginable, human losses. However, today’s Iranians can see modern war memorials and monuments in many parts of the urban and rural landscape. Yet, at the same time, the changing landscape has separated Iranians from such remnants of the violence. It can be argued that many people, in their wish to look forward to a more hopeful future, do not wish to be reminded of this period in Iranian history. This book was originally published as a special issue of Visual Anthropology. Pedram Khosronejad is a member of staff in the Department of Social Anthropology at the University of St. Andrews, UK. He obtained his PhD at the École des Hautes Études en Sciences Sociales (EHESS) in Paris. His research interests include cultural and social anthropology, the anthropology of death and dying, visual anthropology, visual piety, devotional artefacts, and religious material culture, with a particular interest in Iran, Persianate societies and the Islamic world.